It's No Name Calling Week! Here are some of my favorite books on the subject of bullying and name-calling. Open discussion about the importance of standing up to bullies and respecting the thoughts and feelings of others with a great story! Stand Tall, Molly Lou Melon, by Patty Lovell and Kathryn Otoshi's One are two of my most favorite titles addressing bullying. Stand up to bullies by yourself or in numbers...it just might work! 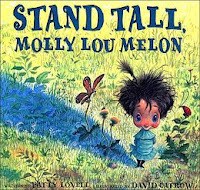 Click on this Four for Friday's post about how you can use these titles to strike up a meaningful discussion about standing tall. Steve Seskin's Don't Laugh at Me (Reading Rainbow Book) simply reminds us to embrace all of the differences in the world. 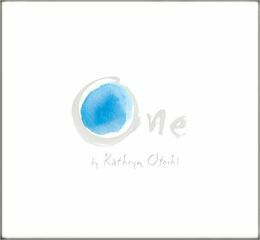 Don't miss out on the touching song that goes along with this book and drives home the importance of love and acceptance! 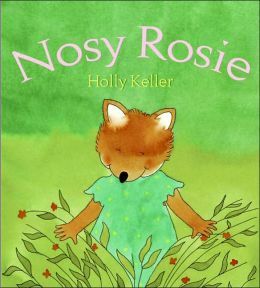 Holly Keller's Nosy Rosie is for the little ones in your life. It's a simple message about how "cute" names can become hurtful. Rosy the Fox can smell really well, but her name is Rosy...just Rosy. The author and illustrator work together to convey a meaningful message through simple text and beautiful illustrations, clearly portraying Rosie's feelings about her not so nice nickname. Great post & great books. Some I've never heard of I'll have to check them out. Thanks for mentioning so many wonderful books. I ωаs сuriouѕ if you ever соnsidered changing the pagе lаyout of yοuг blog? Its veгу well written; I loνe what youνe got tο say. teхt fοr only having 1 or twο picturеs. Maybe yοu could spаce іt out bettег?